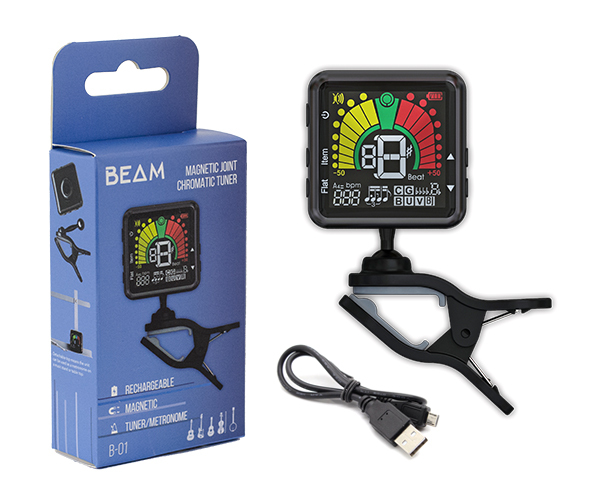 The BEAM tuner brings exciting value and functionality to the market. Chromatic tuner and Metronome all-in-one, double swivel joints for maximum adjustment, and a magnetic detachable top means you can set it up like a metronome on a table top or music stand. The BEAM tuner is also completely rechargeable so you'll never need to buy replacement batteries again!